Motorists are being warned about the safety of part worn tyres after a survey found many do not meet legal requirements in County Durham. Durham County Council’s consumer protection service visited a number of local part worn tyres outlets to check whether they had procedures in place to ensure goods comply with legal standards, as part of the TyreSafe charity’s Tyre Safety Month 2016. 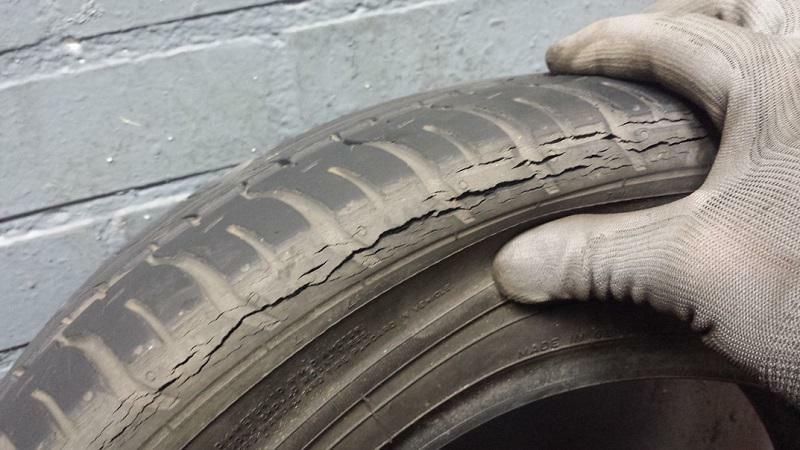 The survey found that only one of 39 tyres checked bore the required ‘PART WORN’ tyre marking, was in sound condition and was, therefore, legally compliant. Twenty five tyres had problems that could impair safety. Ten of these had unsafe repairs; ten had significant age-related deterioration – with nine of them over ten years old and the other 23 years old; and five had been run flat or at very low pressure causing damage to the tyre’s structure. The council officers found that many of the dealers were not aware of the need to mark their tyres with a ‘PART WORN’ marking. Some are storing tyres in a way that has an adverse effect on their overall safety. While many claimed they always check their tyres before selling, the level of knowledge as to what constitutes a legal part worn tyre varied greatly. On the back of the visits, carried out with an expert from the National Tyre Distributors Association and TyreSafe, the council is warning that it will take further action if it is found that unsafe tyres are being sold and applied to vehicles. 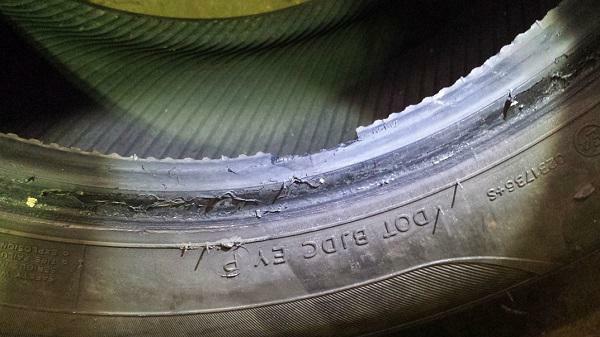 Motorists are also being urged to buy new tyres wherever possible. “Product safety and the health and wellbeing of County Durham residents is at the top of our agenda and this has been an opportunity to work with the part worn tyre trade to ensure that unsafe second-hand tyres are removed from supply. I am concerned however at the apparent lack of knowledge of some traders who are dealing in part worn tyres as any non-compliance could have significant consequences. During the visits, dealers were advised of the importance of a thorough tyre inspection and given information about their obligations under The Motor Vehicle Tyres (Safety) Regulations 1994. In addition to the need to be labelled as ‘PART WORN,’ the regulations state that such tyres must be free from large cuts, any bulges or lumps both internally and externally and that no plies or cords should be exposed. Part worn tyres should also have passed an inflation test prior to sale. The original grooves must be clearly visible and have a depth of at least 2mm across the full breadth of the tread, around their entire circumference.